Have you heard this well-known statistic? 90% of people turn right when they enter a store. That's an incredible insight when thinking about how people interact with your pro shop. A ton of scientific research goes into understanding how consumers behave when they enter a retail environment. Everyone from anthropologists, marketers, interior designers, brand managers, to architects have devoted countless hours to researching how we buy and how to encourage us to buy more. Ensure Your Next Promotion Poster Looks Amazing! We know you probably don't have the budget to conduct a scientific analysis of how golfers interact with your pro shop. Fortunately, this area is so well researched that many best practices can be applied to any retail environment, even your pro shop. If you are thinking about changing the way your pro shop is organized here are some best practices from some of the top think-tanks in the retail industry. No matter the size of your sales floor, there are many ways to optimize your floor plan. The idea is to encourage customers to part with their cash and the floor plan plays a significant role in this. An optimized layout should guide the customer through your pro shop, ensure they see your power products, your promotions, and encourage impulse buys. We'll dive into each of these very soon, but first we need to consider how the entrance of the pro shop will draw customers in and make an immediate impact. Ideally you have a display window at the entrance, what you put here should tell the story of your golf course and highlight your brand. Compel customers with a display inspires golfers to get into the game. When you tell a story here you can subtly highlight products products without coming off as too "salesy." Sell your brand well at the entrance, and you'll draw more foot traffic in. Once a customer enters the pro shop, they enter what the industry refers to as the decompression zone. 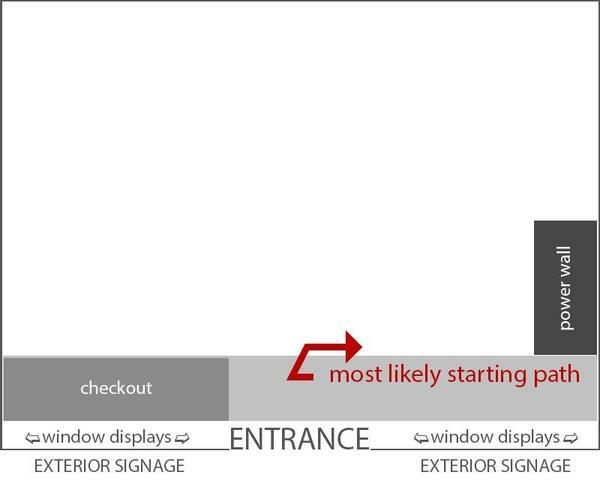 90% of customers will give a quick scan of the entire store before turning right. Make sure this area is open and welcoming, don't put key products close to the entrance since they likely won't be noticed. Every pro shop has its power products. Think high volume and high margin products that people come to your store for. Gloves, golf balls, premium clubs, hats, shoes, shirts, bags and umbrellas also fit on this list. 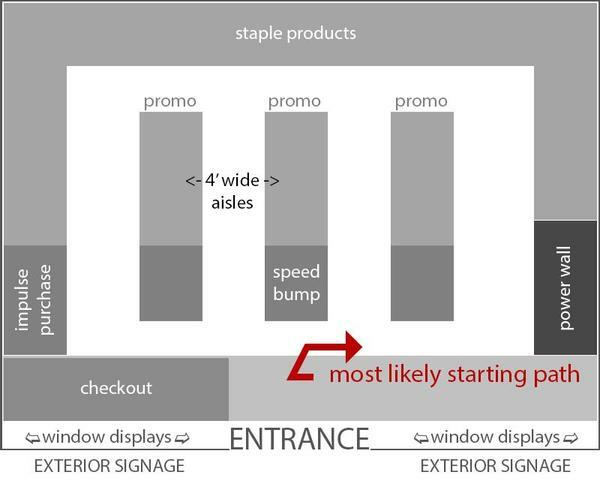 Since most customers turn right when they enter your store, make sure these products are the first thing they see when passing through the decompression zone. Keep the impulse buys like bugs spray, sunscreen, and candy by the cash register. Encourage browsers to pick these up after looking at your power wall. Use the power wall to set the tone and tell your customer that your operation is highly specialized and will meet their needs. A good power wall will draw golfers into your store from the get-go. Use the power wall as an opportunity to showcase your brand, make a statement, and prove to customers that visiting your pro shop is worth it. Now that we've determined the main elements that every pro shop should have: compelling window displays that tell a story, an open decompression zone in the front entrance, and a power wall on the right-hand side. 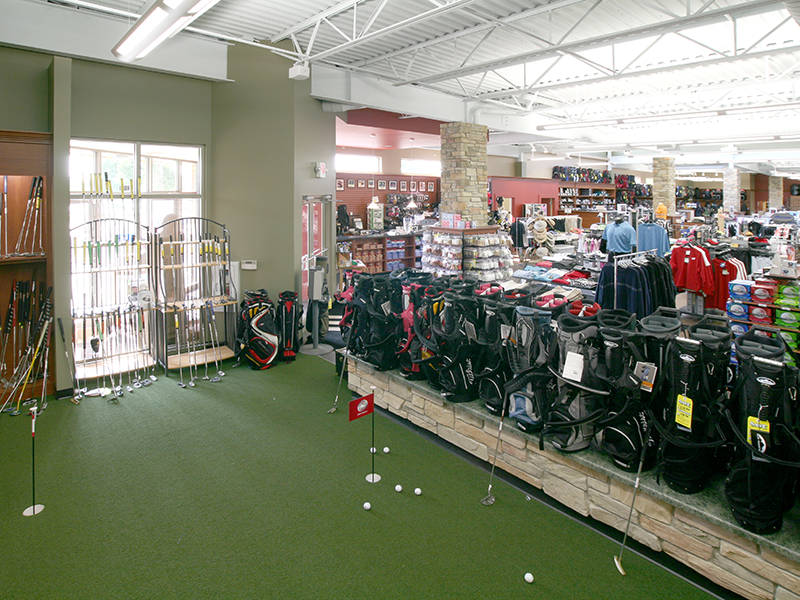 Let's look at the different ways you can lay out the main floor plan of your pro shop. The loop layout is possibly one of the most straightforward kinds of retail layout. Essentially, customers are coaxed into following a specific path. Customers flow through the store on a controlled route and finish at the checkout. 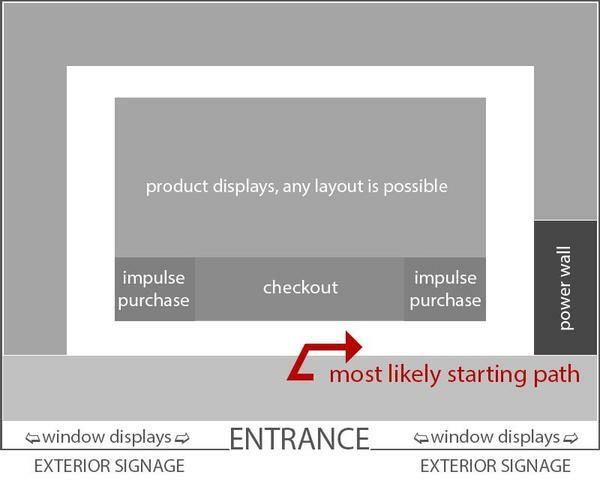 With this layout you guarantee that customers will see 95% of your merchandise, but only because they are on a predetermined path. Companies like IKEA have taken this model to the absolute extreme, but size doesn't determine whether this strategy works or not. Small time pop up shops often make use of this strategy, especially at museums or entertainment centers when keeping up a narrative as the customer flows through the store is crucial to the buying experience. The key to success with a loop layout is ensuring that customers are not frustrated by a slow shopping experience, especially when they are strapped for time. If your pro shop is not high traffic and customers could easily filter through your loop, you may benefit from this setup. High traffic pro shops may not benefit if they are forcing customers to spend to much time in the store. Consider combining elements of the loop layout with the free flow layout which we will cover later. 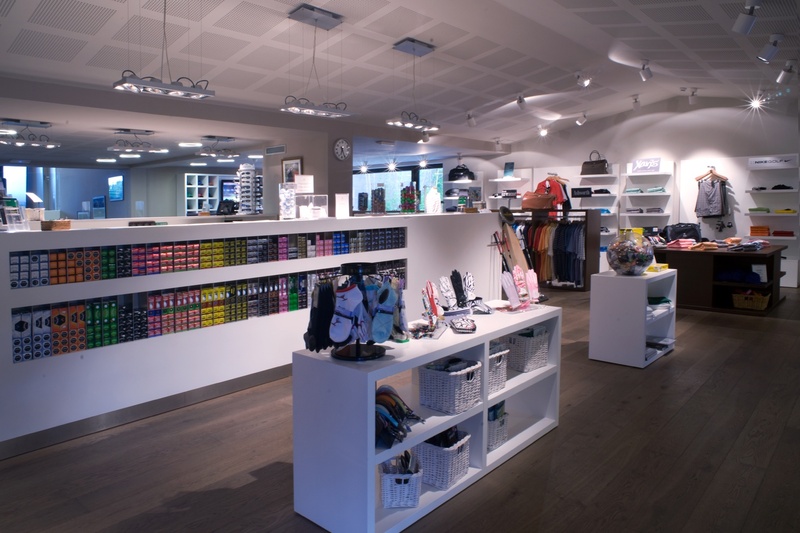 The grid is probably the most popular layout in retail. Grocery stores, pharmacies, and convenience stores are the most frequent users of this system. This layout maximizes efficiency. Product after product after product is displayed along each aisle. Browsing is certainly encouraged, but in a well organized grid customers can easily find exactly what they want and exit directly to the cashiers. The layout works at some pro shops because it effectively allows the operator to display every product in their inventory. Golf courses with many product offerings and a lot of space might benefit from this layout. One of the significant benefits of using the grid layout is that it still gives management a lot of control over how customers interact with the pro shop floor. If you've ever wondered why grocery stores keep the milk, vegetables, and meat at the back of the store, it's because they know you are most likely coming to buy these staple items. 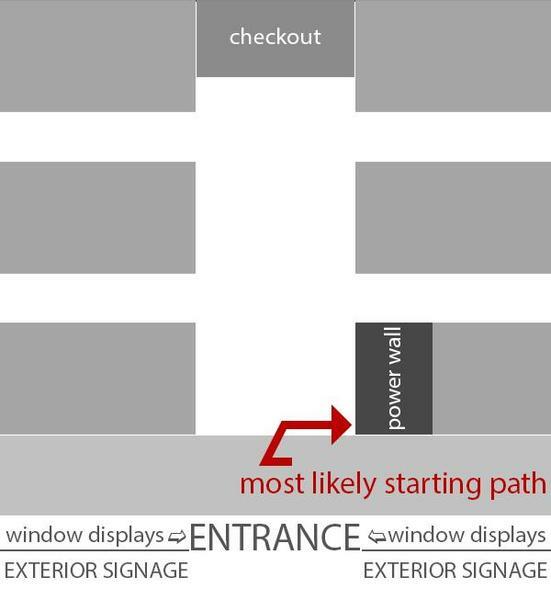 Retailers know they can get you to walk past the power wall, all the way to the back to grab staples, and then to the front checkout out where impulse items like candy and magazines are typically sold. The goal is to make shoppers who are only looking for staples bu a bigger basket of goods. Retailers will do this be strategically placing staples in the back, forcing you to walk past an assortment of discounts and impulse items. It's possible to run your pro shop similarly. 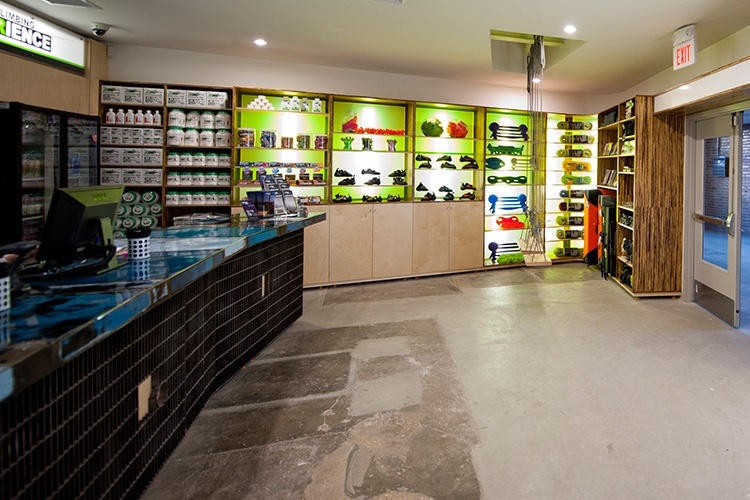 Place the golf balls, tees, and gloves towards the back to ensure your customers walk past your discounts, and impulsively pick up a protein bar when checking out at the pro shop POS. If you choose a grid layout for your pro shop, it's best if you stick to shorter shelves that are well spaced out. Leave room for creatively displayed promotions at the ends of each rack and make sure the places of your products make sense. 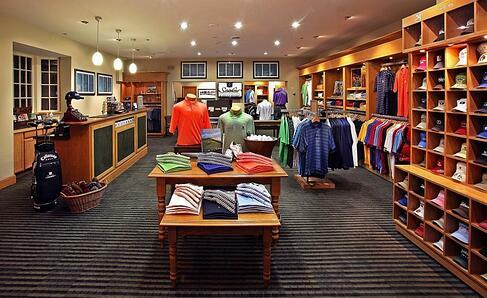 If you have a narrow pro shop, the herringbone layout is a style of grid that accommodates smaller spaces. This works well for many pro shops with a lot of inventory and limited area for display. We recommend keeping promotions and high traffic items closer to the main aisle. Just make sure passageways are spaced well enough to prevent customers from crowding into each other. The only major downside of the Herringbone is the potential for theft. Customers at the ends of the aisles are harder to monitor since visibility from the cash is nearly zero. Mitigate this risk by placing security cameras at the ends of the aisles and hiring attentive floor staff. Quite possibly the most common layout we see in the golf industry is the free flow layout, that's because this layout best accommodates small, experiential, and specialized spaces. Traffic patterns are non-existent and wandering is encouraged. Customers may be inclined to peruse through racks, or they may bee-line for the POS. Interactions are based much more on what the customer feels and much less on the geographical positioning of items. The keys to success with the free flow floorplan are excellent exterior window signage that draws people in, a power wall to the right of the entrance, and creative branding. Creating an enhanced customer experience is critical for success with this layout. Don't think that a free flow layout is an easier layout because of its simplicity. Not applying best practices here can result in catastrophe. In fact, a free flow layout probably takes the most thought to be successful. To find the optimal design you will need to try many different iterations and intensively monitor how customers interact with your specific operation. 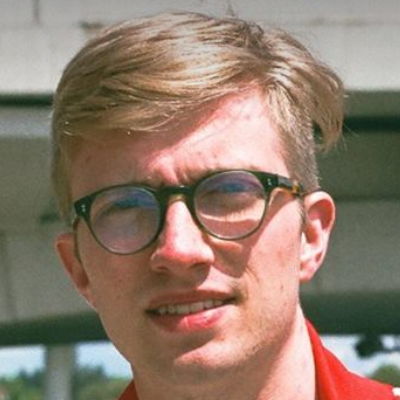 You will need to conduct a lot of research on your own because, aside from the right turn phenomenon and the power wall strategy, industry research will not apply as much to your setup. By now you probably know what category your pro shop fits into and you know where you could improve and what pros and cons to consider with each setup. Maybe your free flow floor plan could benefit from a looping structure, or perhaps you need to rethink your power wall and move it away from the cash. Perhaps your herringbone setup is too utilitarian, and you need to add some creative flair with a more free flow layout. Whatever your pro shop setup is, chances are there are some best practices you've yet to implement. 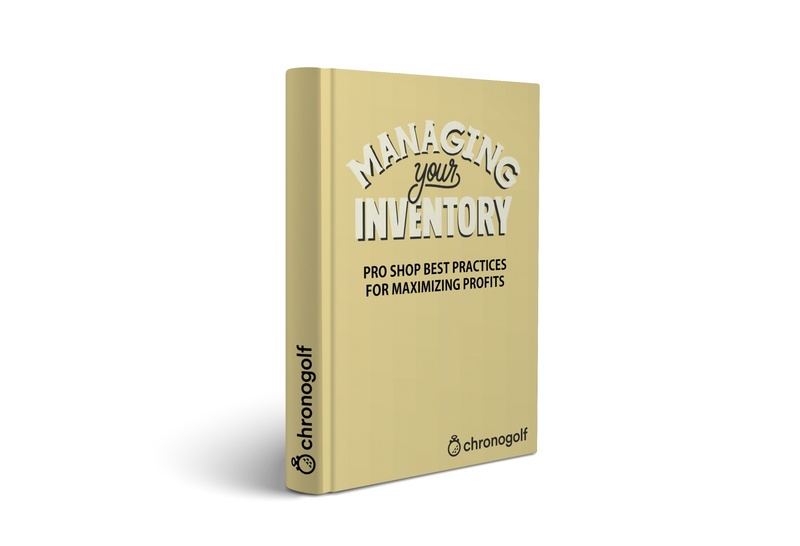 Get best practices for managing your inventory! If you're not sure what setup works best for your pro shop, consider combining one or more of the above strategies. 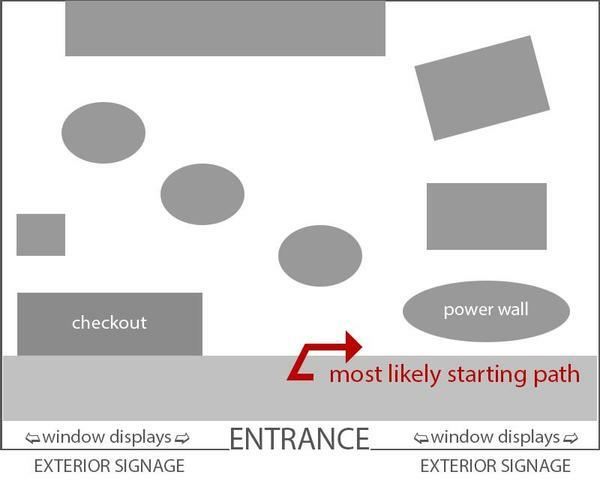 At the very least make sure to apply the right turn phenomenon and the power wall display at your pro shop. These two specific best practices work and will help with managing customer behavior and encouraging more purchases. Now, it's up to you, go and find the perfect layout for your pro shop!